At the time of the National Gallery’s blockbuster Leonardo exhibition I remember thinking how I’d love to see more of the Queen’s collection of his drawings, not knowing I’d have that pleasure so soon. 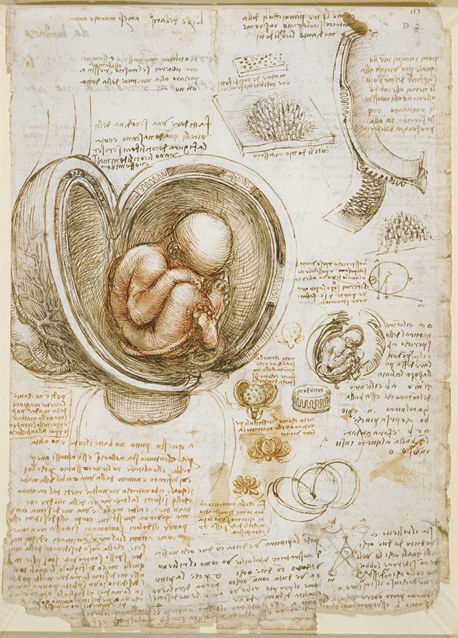 His anatomical drawings wouldn’t have been my first choice, but Leonardo da Vinci: Anatomist, at the Queen’s Gallery until 7 October, gives a fascinating insight into the artist’s work. I can’t have been the only viewer clenching muscles, tracing bones, surreptitiously poking my ribs and generally wishing I could test his findings on the body conveniently located in front of the pictures. 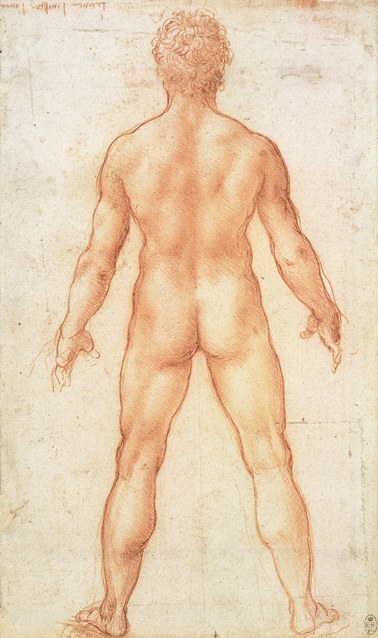 There is probably more anatomy than I ever had at school, and for a moment you wish Leonardo had left this to a lesser artist. But then you realise that in any other hands it is doubtful we would still be seeing drawings that are in most areas entirely accurate. It’s hard in this era of 3-D photography to fully comprehend the intricacy of what Leonardo achieved in his art, with the materials to hand. It was only for a short period in the later part of his life that he regularly had corpses from which to work. At other times he was trying to extrapolate the human body from animal carcasses. 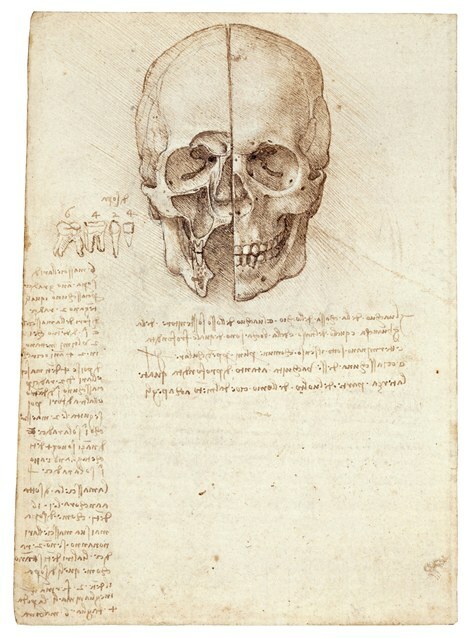 Never one to finish a project before being distracted by some new problem, Leonardo’s anatomical work was never finalised. He was achingly close to completing the very first comprehensive study of human anatomy, but instead, through an accident of fate, and British luck, his entire collection of studies landed up in the royal archives. The collection is beautifully presented, with large captions and many blow-ups of the fine details, as well detailed medical discussions on the accuracy of the drawings. As one doctor said, “No medical illustration has ever produced images to surpass these.” There are quirky touches to the works: a quick diagram of a castle between a dog’s diaphragm, the puzzle of trying to figure out spherical muscles, the unfamiliar look of a woman’s reproductive organs, which he had based on those of a cow. Using the lost wax method of bronze casting, he discovered actual shape of the ventricles of the brain. His work is the point at which ancient beliefs were finally exchanged for factual realities, which is why Leonardo captures the modern man’s imagination. As you see him trace the arc that an arm can make, you see not only a man trying to penetrate the workings of the body, but an artist marvelling at the mystery of life itself. Love the report on this exhibition. What a treat to see it even at a remove.